There was great rejoicing recently across the land (well, Sara-land, anyway) when the announcement was handed down from on high: Cable network Science is going to rerun Fringe episodes starting with the pilot. Yessssssss. At last. This welcome news made me ponder what a bountiful place basic cable has been for fans of geek television both old and new over the years. Somehow I missed out on Fringe when it premiered in 2008, and I've been meaning to catch up with it ever since. But it's not streaming on Netflix and I refuse to pay them for actual DVDs in the mail and it's not rentable locally and I have no interest in actually buying it and I don't like watching shows on my laptop. So because I am a fussy baby, I've been missing out for years. 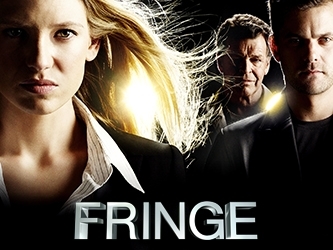 Then, the good news: The cable network Science will run three episodes of Fringe on Tuesday nights starting next week until they've shown all five seasons. Thank you, basic cable. You've been so good to me and my fellow geeks who don't like to mess with DVDs or buffering streams and instead prefer to DVR our old friends or just drop in on them as they air live. 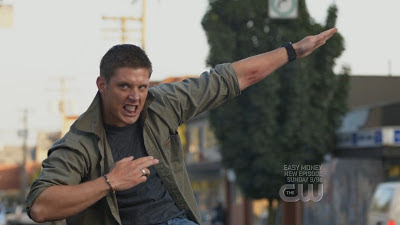 In the spirit of Thanksgiving, allow me to count the way in which I'm thankful for basic cable's genre show reruns. 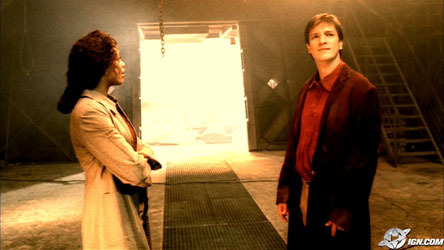 Do you remember a time when Nathan Fillion was this young? Science airs episodes of Firefly on Sundays and recently premiered the cast reunion special Firefly 10th Anniversary: Browncoats Unite. This is probably as close as we'll ever come to new episodes of the greatest space western ever. You are the best, Science. Three cheers for BBC America for regularly showing Star Trek: The Next Generation, Doctor Who and Battlestar Galactica. Allow me to heave a wistful sigh for the good ol' days when it was SciFi and not SyFy, and it aired marathons of a different fantastic show each weekday. Eight hours of The X-Files. John Doe. The Twilight Zone. Dark Angel. This was bliss for someone with a flexible work-at-home schedule, which I had at the time. Let's hear it for TNT for giving us two hours — two whole hours — of Dean Winchester every weekday with its Supernatural reruns. TNT's also still showing Angel, albiet at 4 a.m.
And then there's TBS and its reruns of The Big Bang Theory, which is ... great, I guess, if you like a show with a braying soundtrack, lazy stereotypes and easy, slow-pitch references with no clever punchlines attached. While I don't watch any of these rerun gems with regularity, it's comforting to know that they're there for me should I ever be home sick, up at 3 a.m. with a bout of insomnia or needing a distracting while folding laundry. In closing, I would like to ask the basic cable channels out there to consider picking up Quantum Leap. I've never seen it, and you'd be doing me a solid. Also, y u no show The X-Files anymore, TV? 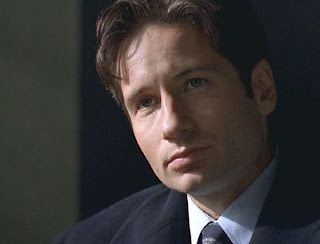 What, do you think we no longer need young David Duchovny on our screens? That is false. What shows are you thankful for in reruns? And what do you wish would come back to the airwaves? Thanks for the heads up! I've been watching since its inception, but my kids wanted to catch up, and we couldn't rent it anywhere.